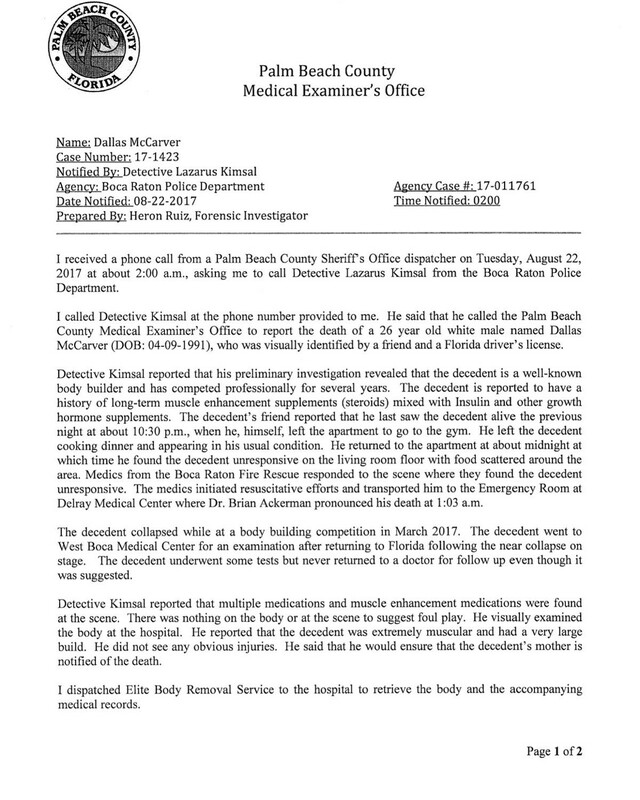 Breaking News: Dallas McCarver’s Autopsy Result Has Been Released! 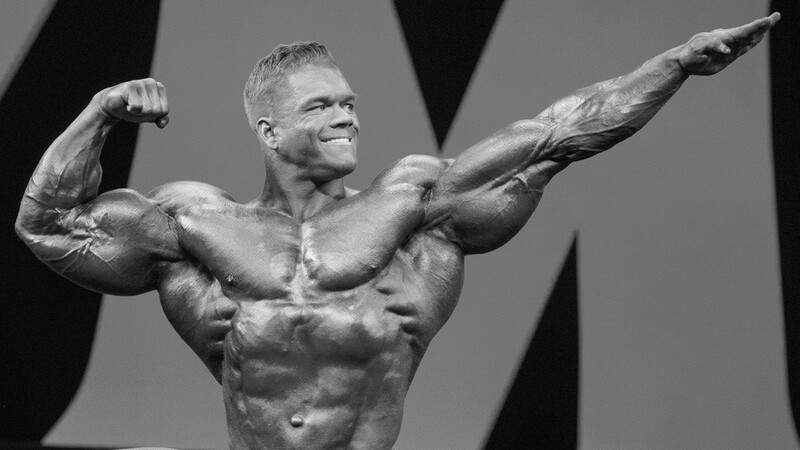 The death of young and talented IFBB professional bodybuilder Dallas McCarver sent shock waves throughout the bodybuilding and fitness community. It has been three months since the untimely death of young Dallas McCarver. 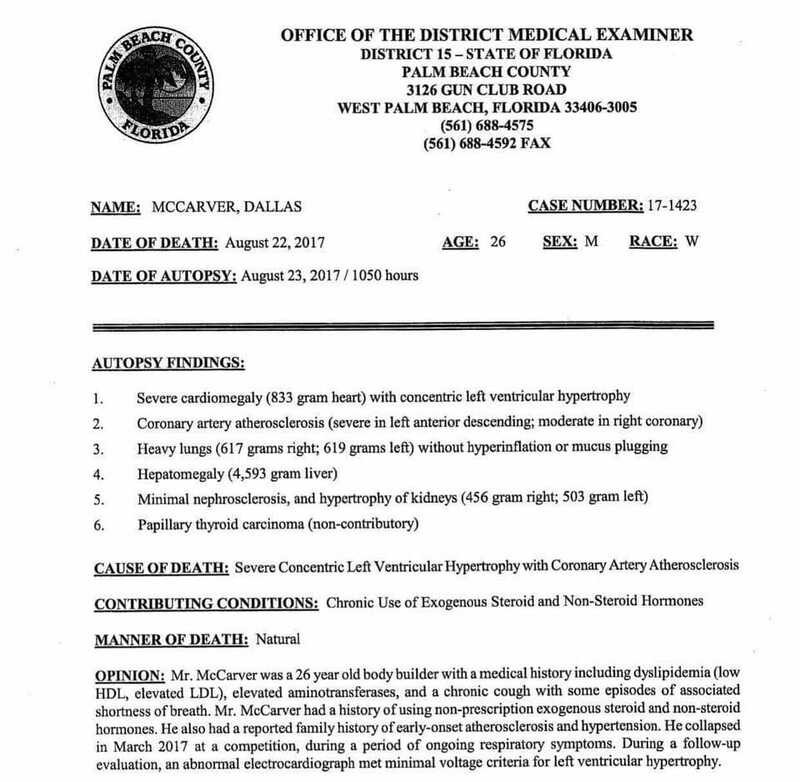 Dallas McCarver died after an unwitnessed cardiac event contributed to by the combination of coronary atherosclerosis (a buildup of plaque in the arteries) and an enlarged left ventricle (a thickening of the heart muscle that causes it to work harder). 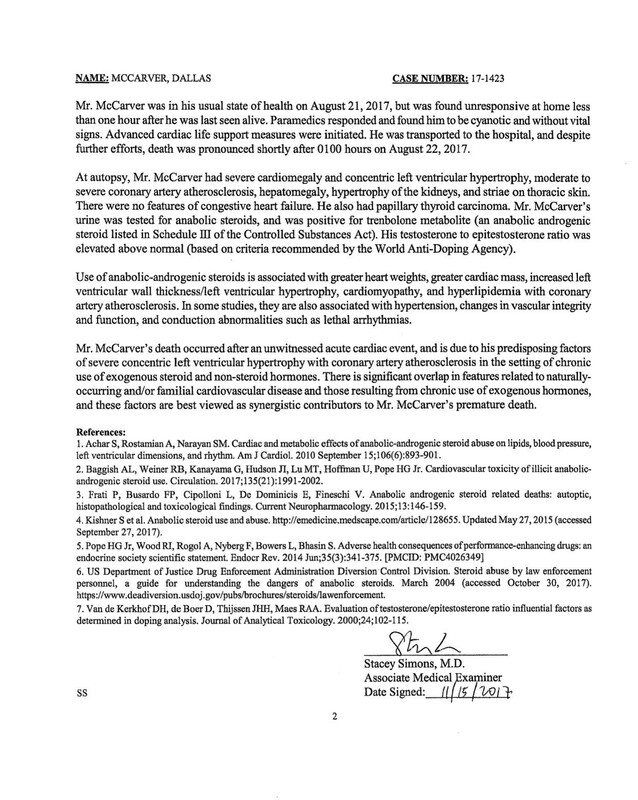 McCarver had a family history of cardiovascular disease including both hypertension and atherosclerosis. Dallas was found on the floor in his living room by his gym partner and close friend Josh Lenartowicz when he returned from his cardio session. Food was scattered around his body, Josh tried everything possible to revive Dallas, but it was already too late. Paramedics were called, and he arrived at the hospital in full cardiac arrest. He was pronounced dead at 1:03 A.M. An autopsy was performed the following day. Noted at the time of autopsy were an enlarged liver and kidneys, nephrosclerosis (a hardened liver), heavy lungs, and a papillary thyroid carcinoma. Prior medical history includes cholesterol issues (high LDL/ low HDL), elevated aminotransferase levels, a chronic cough and shortness of breath, and childhood asthma. 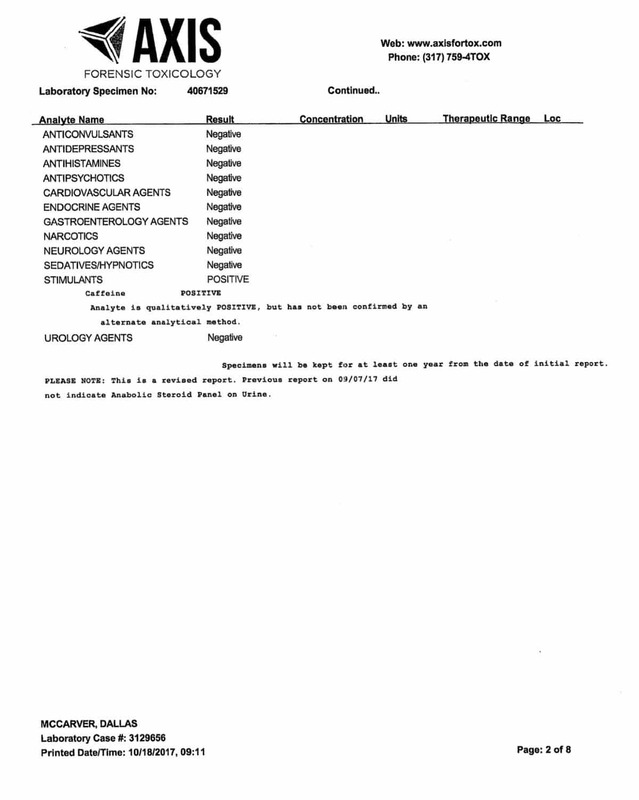 His testosterone levels were within normal range at the time of death, despite having an elevated epitestosterone level (indicating testosterone replacement, though not abuse per se). 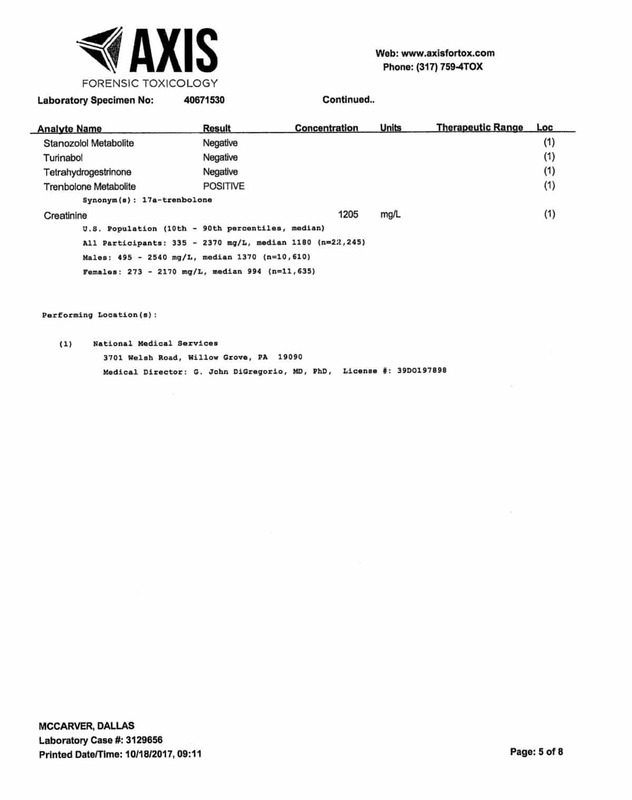 Trenbolone metabolites were also present. 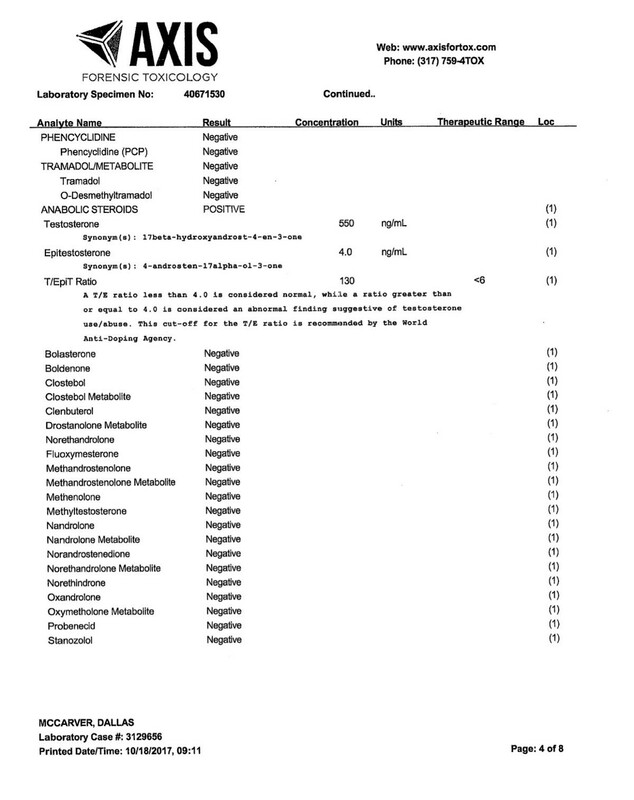 Screening for additional steroids was negative, although he tested positive for caffeine and marijuana metabolites (neither of which are mentioned as contributing factors in his death). No other recreational drugs or narcotics were present. 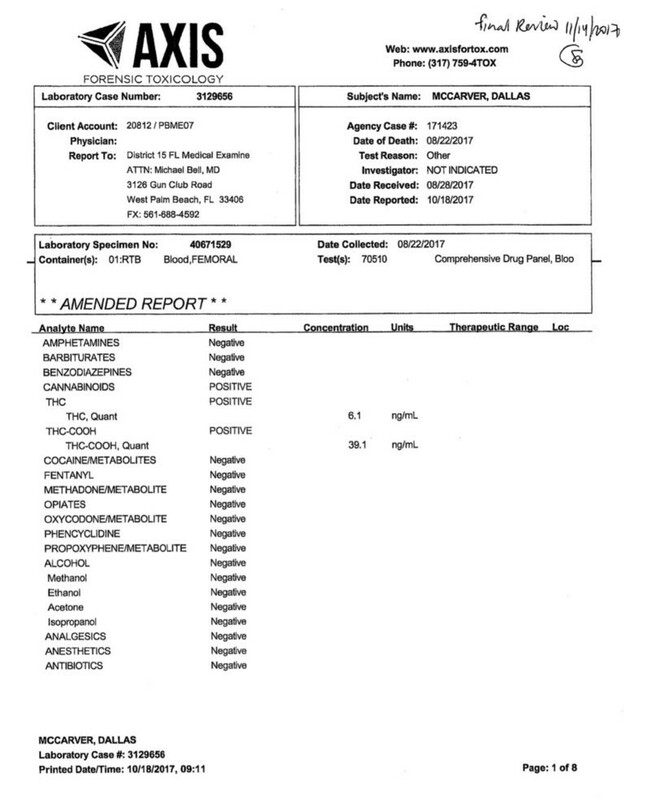 Also noted (but neither tested for nor listed as a contributing factor in Dallas’ death) was a prior history of HGH and insulin use. 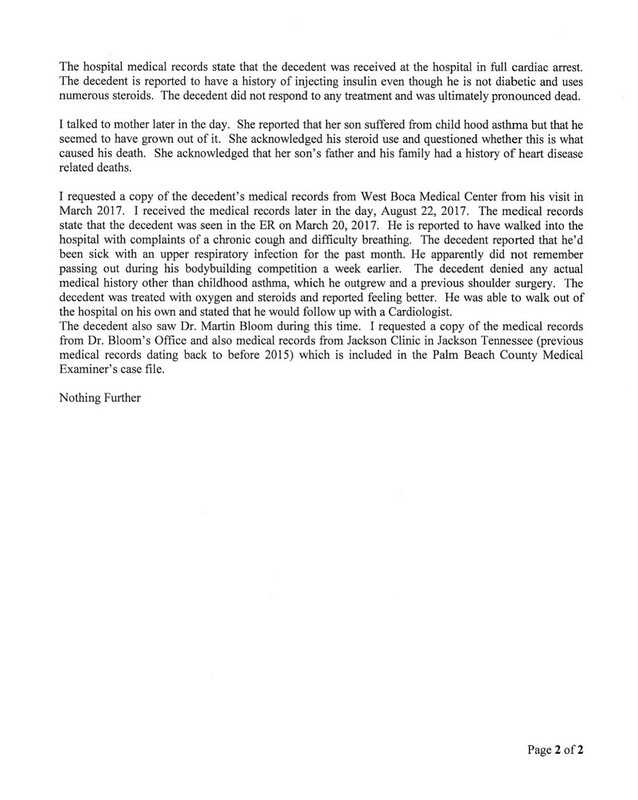 Below is a copy of the autopsy report conducted on Dallas McCarver explaining in full detail the findings made by the coroner. McCarver 26, was just beginning his career in the sport and had already reached amazing heights in his short experience on stage.